The National Comedy Center is the first national-scale non-profit cultural institution and visitor experience dedicated to the art of comedy. The experience honors the craft and its legendary contributors with more than 50 interactive and ever-updating exhibits. When you become a member of the National Comedy Center you will be helping to make Lucille Ball’s vision a reality – that her hometown of Jamestown, NY become THE destination for the celebration of the comedic arts. Your membership directly supports the National Comedy Center, the Lucille Ball Desi Arnaz Museum and the annual Lucille Ball Comedy Festival. 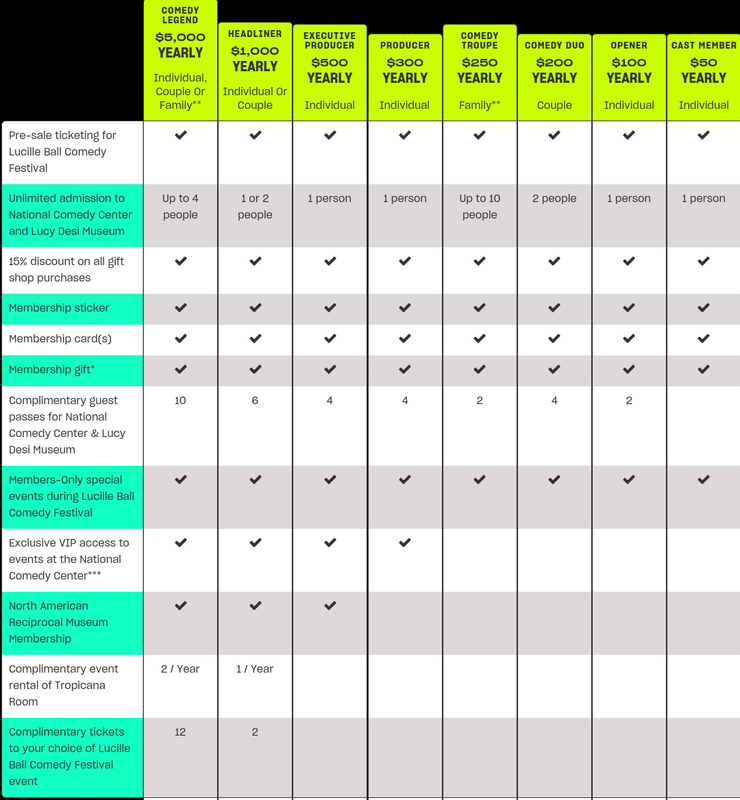 The membership program offers various levels to meet the ability of all supporters and to provide exclusive benefits based on those levels. Join us today. * Membership gifts are subject to change. Members will have their choice between Lucy Desi Museum themed gift or National Comedy Center themed gift. ** A family membership consists of 2 adults & 10 children under 18 living in the same household. *** VIP access does not include access to headline performers.